Adding to the upcoming adidas Ultra Boost 4.0 lineup, adidas Originals will be releasing a Glow in the Dark iteration of their 4th generation Ultra Boost. 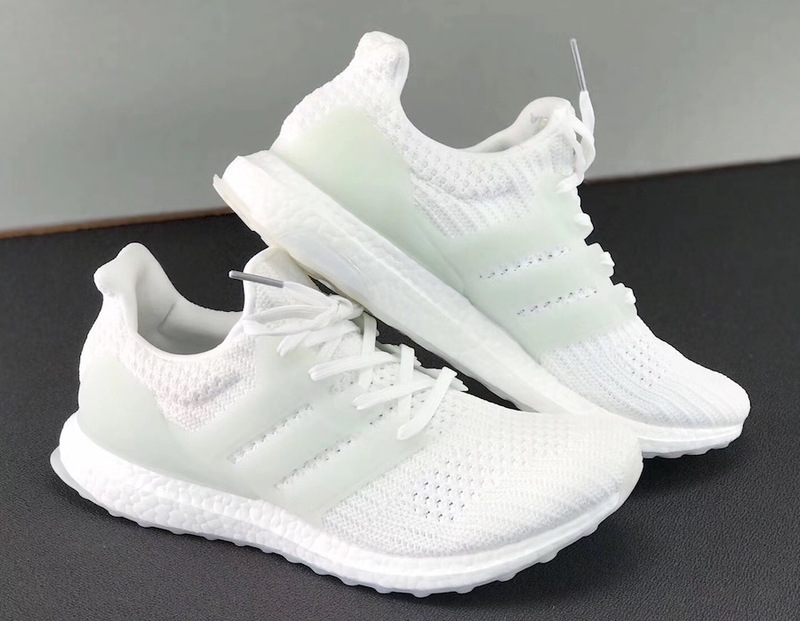 This adidas Ultra Boost 4.0 Glow in the Dark features a “Triple White” color scheme with an updated Primeknit pattern throughout the upper. Highlighted with its Glow in the Dark detailing on the cage and outsole completed with a full-length White Boost midsole. Check out the detailed photos below and look for the adidas Ultra Boost 4.0 “Glow in the Dark” to release sometime early-2018. Stay tuned to Sneaker Bar for more updates. UPDATE: Detailed photos of the “Glow in the Dark” adidas Ultra Boost 4.0. UPDATE: New photos of the “Glow” adidas Ultra Boost 4.0 via us11hustla.